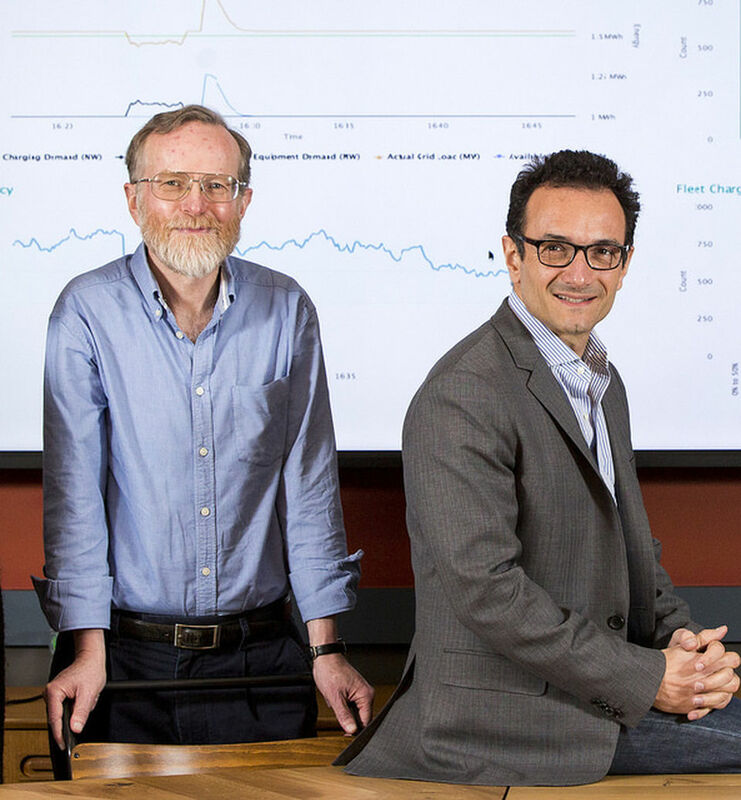 Upside Energy aims to reduce stress on the National Grid through its cloud-based Virtual Energy Store™. 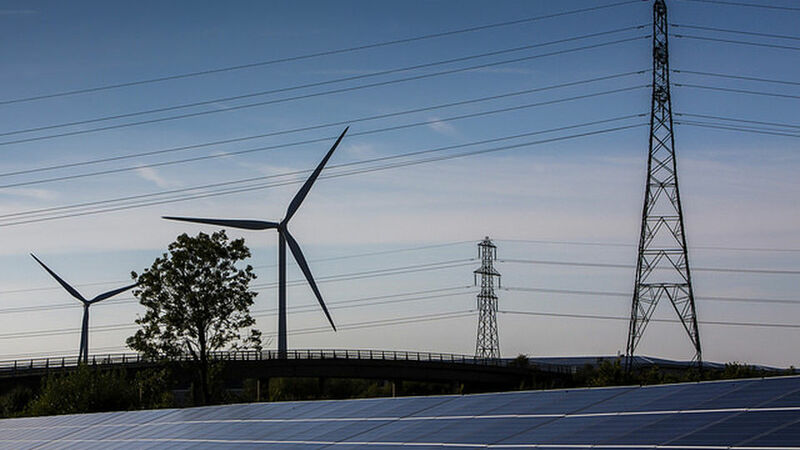 This aggregates flexible demand from systems such as domestic energy storage, heat pumps, electric vehicles and uninterruptable power supplies, which it sells to National Grid, network operators and energy suppliers to help balance supply and demand. System owners and Upside Energy share in the revenue created. 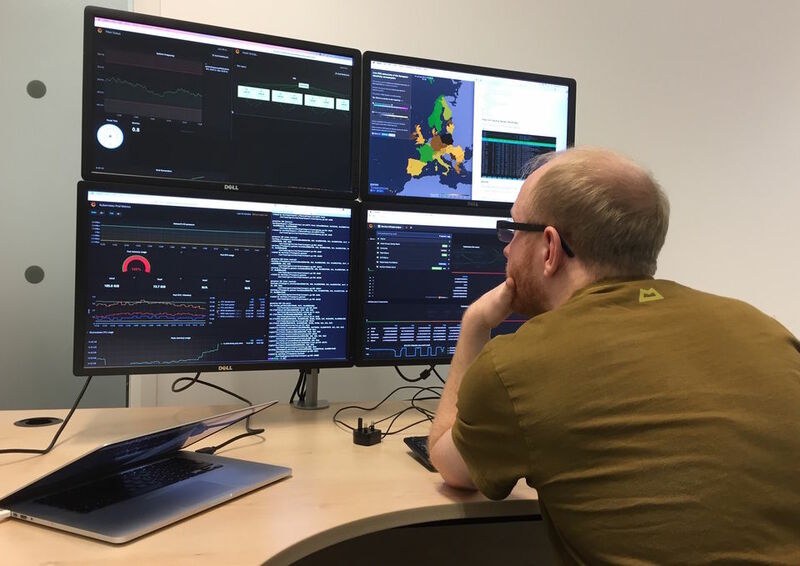 The Virtual Energy Store™ helps the grid to cope with more renewable energy capacity, and shift electricity usage from peak to off-peak periods, reducing the use of some of the UK’s oldest, most polluting and expensive power stations. Upside Energy’s innovative approach to flexibility has the potential to revolutionise the sector, making it practical to involve millions of devices in homes and businesses in keeping the grid stable. In the past, the UK’s electricity system was kept stable by gas and coal power plants running below full power, so they could quickly increase or decrease output to respond to changing circumstances. But as renewable energy generation increases, there are fewer fossil fuel power plants operating, and the use of polluting ‘peaking plants’ needs to be avoided because of their high CO2 emissions. 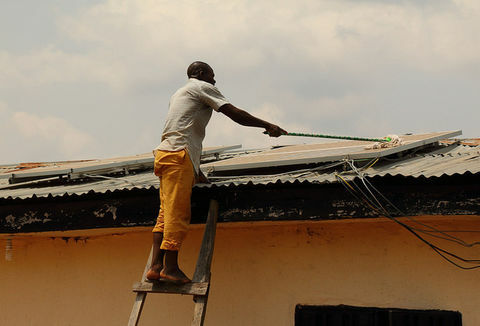 Upside Energy has developed a cloud-based software platform that can keep the grid stable by controlling the behaviour of large numbers of energy-consuming and energy-storing devices, such as uninterruptible power supplies, hot water cylinders and home energy storage. There are several businesses offering flexibility services to help keep the electricity grid stable, and most of them started by targeting a specific National Grid market, or a specific class of assets such as storage heaters or industrial sites. Upside Energy’s goal was broader: to create a platform that could enable any Internet-connected device to participate in the provision of any kind of flexibility service, and this has resulted in a system that is inherently scalable, secure and future-proof. By embedding its software in devices made by other manufacturers, Upside Energy enables them to offer their customers an additional feature without significant development work, and provide flexibility services with no additional hardware cost. The need for flexibility services in the UK is increasing as more renewable energy is brought online, and by using Upside Energy instead of operating gas-fired power stations at part load, significant CO2 savings can be made. As of May 2018, Upside Energy had 23 MW of flexibility capacity online, saving around 13,800 tonnes CO2 per year. To keep the electricity grid operating reliably, National Grid has to keep electricity demand and supply in balance, and when faults occur or unexpected situations arise, a suite of responses is needed, some within seconds and others within minutes. Traditionally the responses were provided by gas and coal power plants running at part load, so they could adjust output quickly, by ‘peaking plants’ and by pumped storage hydro power. However, in recent years, a growing share of the response has been provided by flexibility services, which are able to increase/decrease demand or charge/discharge energy storage to provide the response National Grid needs. Upside Energy’s role is to bridge the gap between National Grid and millions of electrical devices owned by households and businesses, such as heating, cooling and energy storage, enabling them to be used to provide flexibility services. The UK’s energy system is amazing. It's one of the most reliable systems on the planet. But it achieves that by using a lot of resources. 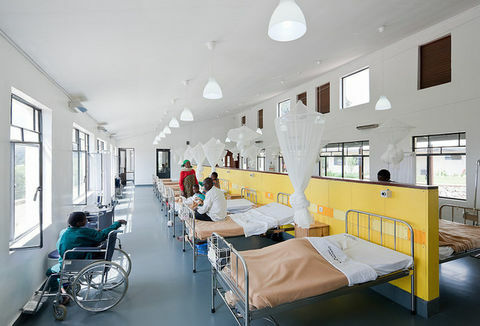 We’re finding more intelligent ways to manage it; achieving the same result but with better use of existing resources. The first companies to develop flexibility services usually had to work with devices that were not connected to the Internet, so additional hardware had to be installed to enable the service to be provided. But in recent years the ‘Internet of Things’ (IoT) has started to become a reality, as an increasing number of devices – from heat pumps and storage heaters to electric vehicles and home energy storage – are available with wifi or mobile internet connections. This makes it possible to add grid flexibility services without any extra hardware cost, as the internet connection is already there. Upside Energy uses cloud computing to run its services; because the software is hosted in powerful data centres with high network bandwidth, Upside Energy can easily scale up as more devices are connected to its system. 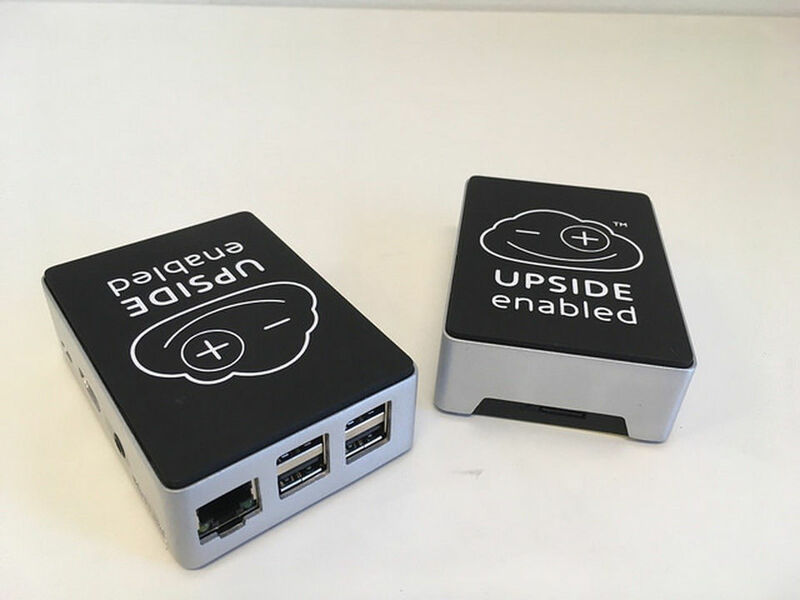 Upside Energy works with manufacturers of devices such as home energy storage, uninterruptible power supplies, electric vehicles, heat pumps and hot water cylinders to embed its software, using the device’s existing Internet connection to communicate with Upside Energy’s cloud-based system. Upside-enabled devices let Upside Energy know their status and what they can offer – a battery would report its state of charge and maximum charge and discharge rates, while a hot water cylinder would report whether, based on its owner’s requirements, it was able to switch on or off and what its power consumption would be. Upside Energy offer real ‘power to the people’ by engaging consumers in new markets that others see as opportunities only for themselves. When a flexibility service needs to be delivered, Upside Energy’s algorithms instruct connected devices to switch on/off, or to charge/discharge in order to provide the required service. Each device will have its own conditions, set by the manufacturer or the user, to determine when it can participate, and will withdraw if it needs to in order to fulfil its main function; Upside Energy’s algorithms adapt to this, bringing in new devices to replace those that withdraw. 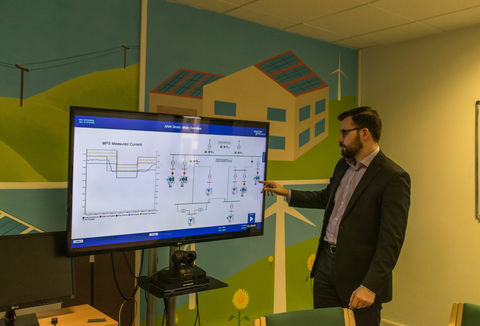 At present, Upside Energy makes use of its fleet of connected devices to participate directly in National Grid’s flexibility markets, but it is currently in discussions with other organisations that are interested in making use of its platform. For example, an energy supplier could offer its customers an Upside-enabled home energy storage in return for a cheaper tariff, and then make use of the storage, through Upside Energy’s platform, to participate in flexibility markets or avoid imbalance penalties. Or a distribution network operator could use Upside-enabled electric vehicles to smooth out peak demand at an overloaded substation, allowing more people to recharge their cars without an expensive upgrade to the substation. 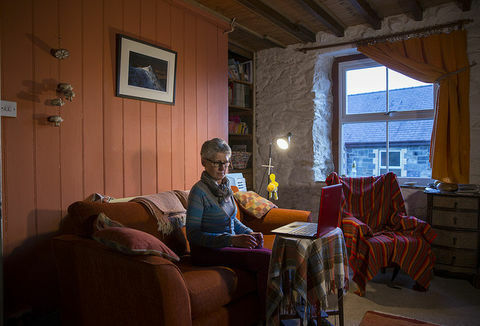 The Pete (Power, Energy, Technology, Efficiency) Project is funded by Innovate UK and BEIS to demonstrate the potential for individual households to provide flexibility services to the energy industry, and includes Oxford University and The Eden Project. It will eventually involve 500 intelligent hot water cylinders and 100 energy storage systems being installed in domestic properties, with Upside Energy controlling them to test different strategies for providing flexibility services that are useful at a local and national level. The project is important for Upside Energy as it is the first large-scale domestic trial of its hardware, and the results will inform its other work with device manufacturers. It will also build confidence for National Grid and energy suppliers that flexibility services can be reliably delivered by large fleets of small domestic and commercial devices. Upside Energy’s work with domestic appliances and small-scale energy storage will take time to grow, due to the need for partnership working, but in the meantime the company has been working with larger sites and participating directly in National Grid flexibility markets. Much of its current capacity has come from an agreement with Arqiva, which provides infrastructure for TV, radio, mobile and Internet of Things services in the UK. Arqiva’s sites often have uninterruptible power supplies (UPS), based on batteries, to allow them to continue to operate in the event of electricity supply problems. But whenever the supply is normal, a UPS is able to provide flexibility services to Upside Energy while still ensuring that it is always ready to cover for an electricity supply outage. Another large site that Upside Energy is working with is the University of Sheffield’s Centre for Research into Electrical Energy Storage & Applications, which includes a 2MW / 1MWh battery. When the battery is not being actively used for research purposes, for example over some evenings and weekends, Upside Energy takes control of it to provide flexibility services. This is benefitting the university by providing income but also allowing them to monitor the battery’s performance under commercial operation. The demand for flexibility services has increased in recent years as more renewable energy has come online and centralised thermal power stations have been shut down, and this trend is likely to continue. On top of this, distribution network operators have started procuring flexibility services at a local level, to relieve network constraints and avoid costly infrastructure upgrades. The challenges are only going to get tougher as electric vehicles become more popular and place extra load on the networks, but Upside Energy is helping to address this, through its involvement with three Innovate UK funded projects on charging EVs and using them to provide support to the grid. It is also working with several EV manufacturers to investigate how their cars and charging points could be Upside-enabled. Longer term, Upside Energy expects to embed its software in a whole range of internet-connected household appliances and enable energy suppliers to access them, resulting in improved stability for the grid, more capacity to use renewable energy and keeping electricity costs under control.